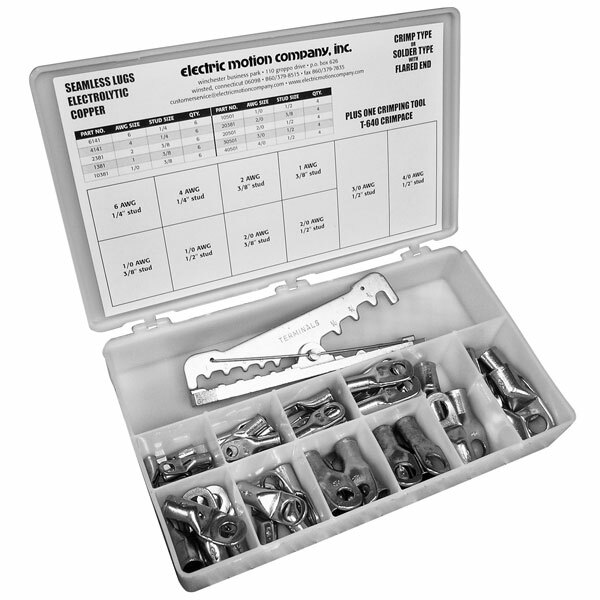 Now you can perform most lug jobs right on the spot with a portable lug kit from Electric Motion. The AT-50 features a rugged carrying case filled with an assortment of 50 of the most popular flared lugs for solder or crimp connections. (Refer to the table below for the specific assortment.) 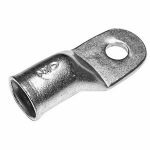 The bright dipped lugs, varying in size from 6 AWG to 4/0 AWG, are the seamless electrolytic copper type with flared ends for easy wire insertion. 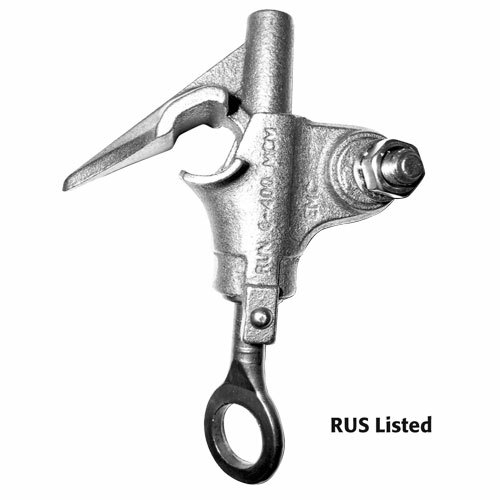 The kit also contains the T-640 Crimpace, the lightweight, heavy-duty tool for lug and terminal crimps. 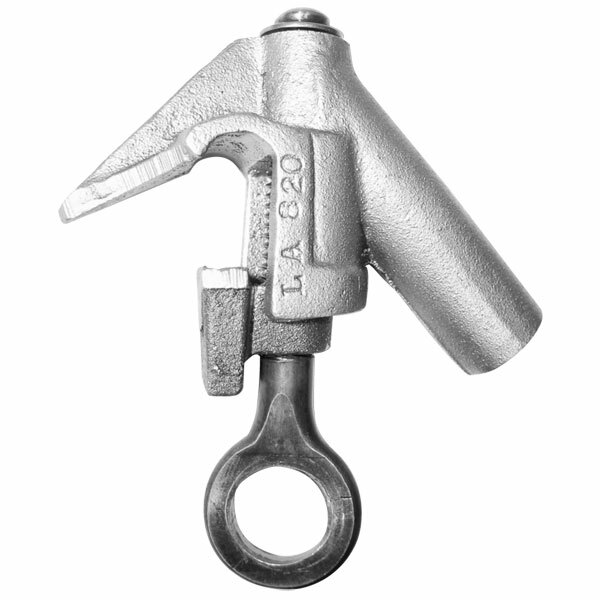 The AT-50T features the tinned copper lugs with the same carrying case and the T-640 Crimpace. Use the drop-down menu below to choose optional tin plating, or go to the Product Variations tab to choose by part number.